Just another manic Saturday lay ahead. It had been a near sleepless night before as camera gear and supplies were packed, checklists checked once twice thrice and once more again. 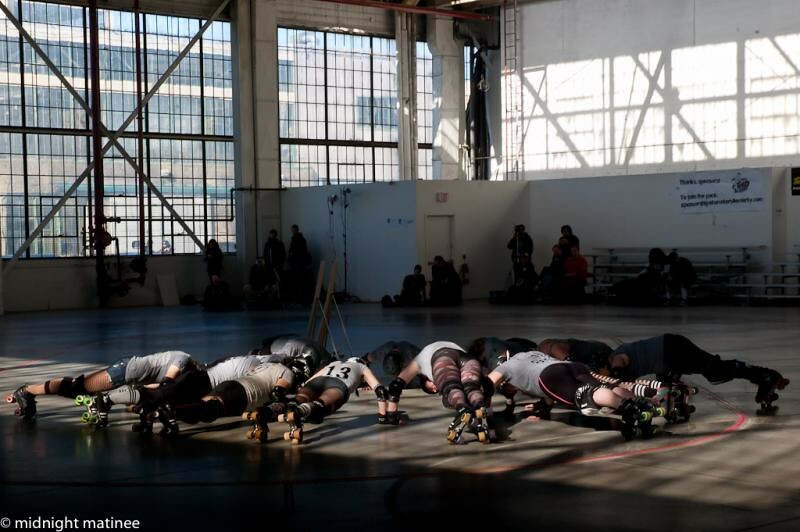 It was the weekend of Quad City Chaos at The Hangar. From what we remembered the year before, it was going to be a long long day and night. 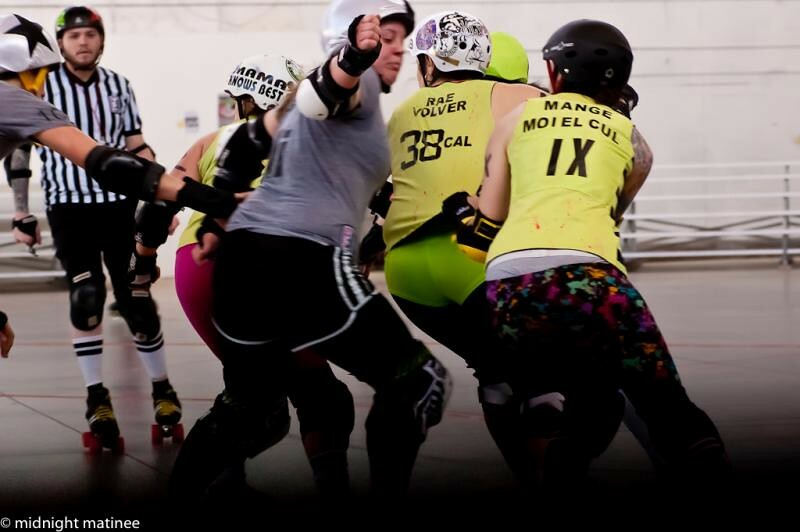 Accelerating the day was the very early and imminent start to the day with the Tri-City Thunder squaring off against New Skids on the Block in a closed WFTDA bout at the hour of noon – preceding the actual start of Quad City Chaos. Thunder had been kind enough to be in contact and try to secure our presence amongst their media. New Skids on the Block still struck terror in the collective heart of Derby in Canada – the very cream of the crop. The bout was just underway as we raced the doors after getting off the 101 bus.